The oil seal contributes to weight reduction, size reduction and resource-saving, as well as providing high seal performance due to an optimal lip structure. It also achieve low heat generation and long life due to being made from a rubber which has high self-lubrication. O-ring demonstrates high sealing performance when used in various gases and chemicals, in particular water, oil and air. 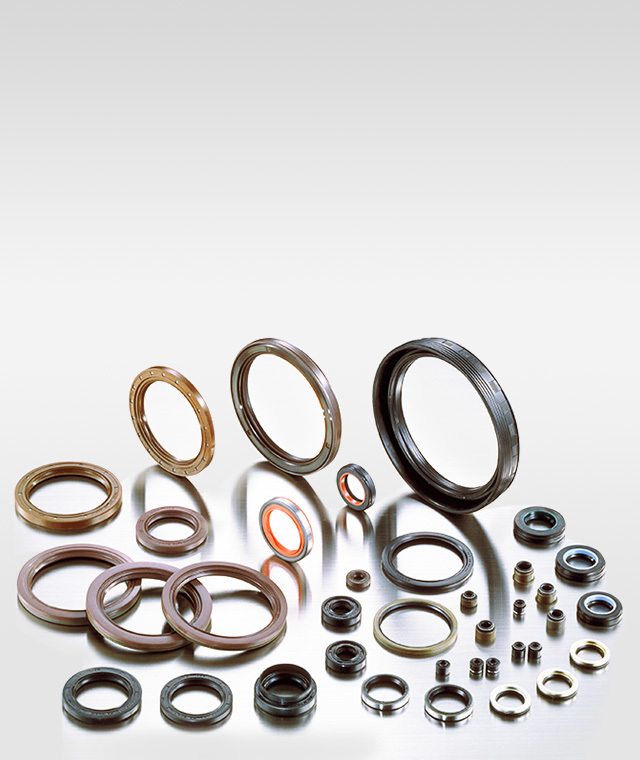 Oil seals maintain seal performance while being compact due to a small seal width. Adopting a line contact lip with appropriate tension, the oil seal demonstrates high sealing performance in low torque zones without losing flexibility or eccentric-resistance. The rubber material has superior durability and achieves low heat generation and long life even at high velocity. Sealing performance and service life are dramatically improved due to a special spiral screw (hydro dynamic rib) mounted in either one direction or both. Demonstrates high sealing performance when used in various gases and chemicals, in particular water, oil and air.